The Gothic Wanderer is a blog about all things Gothic – classic novels, movies, and how the Gothic continues to permeate our lives. 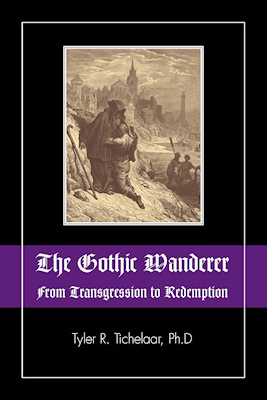 It was launched in August 2012 in conjunction with the release of Tyler R. Tichelaar’s new book The Gothic Wanderer: From Transgression to Redemption, Gothic Literature from 1794-present. Tyler R. Tichelaar holds a Ph.D. in Literature from Western Michigan University where he wrote his dissertation on Gothic literature, a work that later evolved into his book The Gothic Wanderer: From Transgression to Redemption, Gothic Literature from 1794—present. He also holds Bachelor and Master’s Degrees in English from Northern Michigan University. He has lectured on writing and literature at Clemson University, the University of Wisconsin, and the University of London. Tyler is the regular guest host of Authors Access Internet Radio and the current President of the Upper Peninsula Publishers and Authors Association. 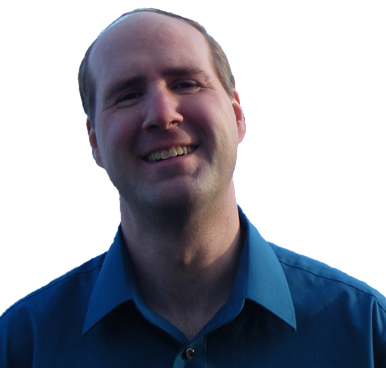 He is the owner of his own publishing company Marquette Fiction and Superior Book Promotions, a professional book review, editing, and proofreading service. Tyler is the author of numerous historical novels including The Marquette Trilogy, the award-winning Narrow Lives and most recently, a historical novel in which he played with Gothic themes, Spirit of the North: a paranormal romance. A lifelong lover of the Gothic in all its aspects, he is also fascinated with the Arthurian legend. Besides his scholarly work King Arthur’s Children, he is currently composing a series of novels that will intertwine the Arthurian legend with Gothic themes and characters. Thanks for the link to my blog and I’m sorry I missed your call. I imagine L.Frank Baum was much better read than most people know. I don’t consider myself a scholar of his work, but I am an enthusiast and have read almost everything he ever wrote, including the Oz books numerous times. The same could be said of my reading of Jane Austen, although I’ve never read her letters. I wish I could find more information on the books Baum did actually read – we know he liked Dickens but I’m not sure who else he read. What little criticism I’ve read of his focuses on the influence of American historical events on him, such as how the Chicago World’s Fair and the Hotel del Coronado influenced him in creating the Emerald City. I imagine a lot still is left to be done in terms of his literary sources. I can’t think of any real influences of Jane Austen on the Oz books but the Aunt Jane’s Nieces series he wrote under a pseudonym perhaps would be closer in their plots of inheritances, abductions etc. – maybe even the series title was a Jane Austen title. Who knows? I won’t be home much the next few days/weekend but maybe we could talk sometime next week. Thank you for the kind comments. I’d be happy to have you link to my posts. I only post sporadically when I feel I have something interesting to say, but I’m glad to know I have readers. I have loved the Gothic for many years and would very much like to receive your blogs. My blog is theenglishprofessoratlarge.com on WordPress if you would consider sending me your posts. Thank you. Thanks for the comment. I don’t think I can send you my posts. Just select “follow” on my blog page and you should get updates whenever I publish something new.